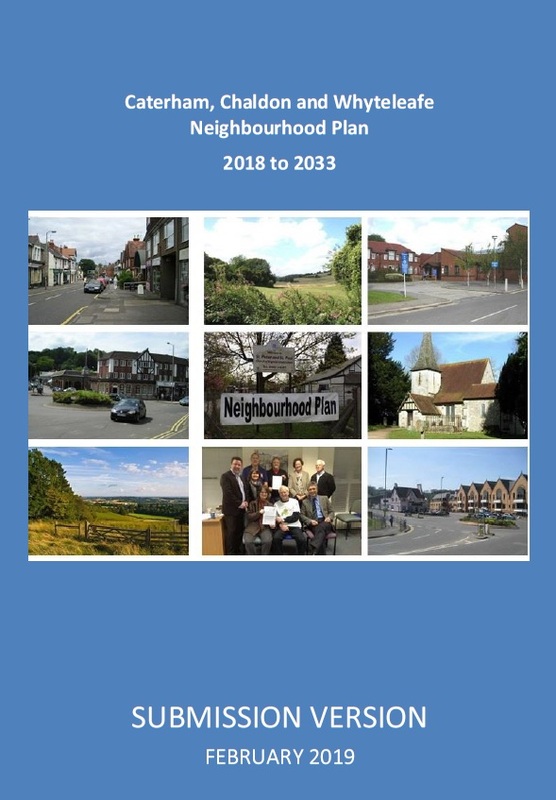 We are pleased for the recognition given in the Emerging Local Plan (ELP) to Neighbourhood Plans (NPs) (11.15-11.20) and the encouragement given by the Council that the NPs allow a local area to take ownership of planning in their area. We accept that NPs should support the strategic development needs set out in the LP and that they should help shape sustainable places. The SG understands that this consultation on the emerging LP is focussing on legal compliance and soundness. The SG will therefore make some general remarks in areas where we would wish to query these and then make a more specific critique of some plan content and detail to illustrate our views. General remarks regarding soundness and compliance: (These reiterate comments already made in consultation submissions by Parish Councils that comprise the CCWNP area. 3.1 Lack of positive preparation (1): We consider the process for consultation deficient. Given that 60% of the ELP is new, we are concerned whether District Counsellors have been given the time to understand and make informed analysis. Councillors were unable to assess and approve the final version of the plan before it was published. 3.2 Lack of positive preparation (2): The ELP does not take account of current planning guidance, in particular NPPF 2018. This will seriously curtail its effectiveness over the remaining years of the Plan as NPPF 2018 and subsequent Guidance will take precedence. 3.3 Lack of positive preparation (3): The ELP does not in many areas, follow the evidence base provided or available from other emerging policy under Neighbourhood Plans. As drafted it will not meet the needs identified in the evidence base. 3.4 Lack of positive preparation (4): Furthermore, in a number of cases supporting evidence for policies is not yet available e.g. the Local Housing Need Survey will not be completed until the end of 2018. 3.6 Justified: the ELP does not provide a reasonable strategy when considered against alternative strategies as set out in the comments, below. 3.7 Effective: The ELP contains a number of policies which will not be deliverable, see comments made below. As indicated by the table within para.6.5 cross boundary consultations are still underway and are not complete and therefore it is not possible to assess the deliverability and soundness of policies. 3.8 Fact sheets published to residents in Caterham Hill were incomplete and misleading and in many cases were not received by residents at all. 3.9 The SG believes the ELP can only be rendered legally compliant by taking full account of all the proposals for alteration and not by restricting changes to those which meet legal compliance or soundness criteria. 4 Specific examples where the SG considers the LP to lack soundness and compliance. 4.2 “Optimised Density”: the SG believes the term “optimised density” should be dropped (as expected?) from the final plan. This would be welcomed because the SG objects to this concept considering it to be excessive and wrong in the context of settlements in the ELP. The SG wishes to see an appropriate choice of density for each location that connects to the local area. We are concerned that the inclusion of optimised density and related policies could create housing levels that would destroy character and put pressure on infrastructure. 4.3 There is no evidence yet of flood mitigation strategy for the parishes comprising the NP, particularly Caterham and Whyteleafe and this in our view is a serious omission. In connection with this, the SG wants to see development and design principles that protect landscape, such as wooded hillside policies, that contribute to flood mitigation and the sustainability of the local environment. 4.4 The SG is concerned about parking displacement and the retention of the TDC minimum parking standards policy and that the ELP seems to lack understanding of the needs of a zone 6 community. 4.5 Generally, the SG is concerned that the policies as currently drafted are too vague and may be rendered unenforceable. 4.6 The SG believes that TDC have missed opportunities to improve local infrastructure. Leading to further “town cramming”, extra traffic and deteriorating community facilities. The ELP needs to give the additional criteria needed to ensure the plan is genuinely infrastructure lead; e.g. flood mitigation and resilience; a greater % of affordable housing in urban developments and adequate parking criteria. 4.7 The SG notes points already made in the feedback submission from Caterham Hill Parish Council that there are errors of fact and interpretation and have made see detailed comments which should be noted. 4.8 The SG also notes comments made in the consultation submission from Caterham Hill Parish Council, that the Green Belt Assessment Process is flawed. Too little attention is given to the criteria of permanence and openness. This gives the impression that the assessment appears to be a search for housing land instead of an impartial review. The SG believes, with our parish colleagues, that the LP does not set out a clear set of criteria for the retention or removal of land from the green belt. 4.9 Again, with our colleagues on Caterham Hill Parish Council, we have concerns about certain housing allocation sites mentioned in the ELP. In particular, we are most worried about Allocation HSG20 “One Public Estate”. To us, this is a planning policy which is making a formal Housing Allocation but has not identified sites to which it applies. We believe this should be removed from allocations list. 4.10 We also do not believe the “Duty to cooperate with neighbouring authorities” has been met. In particular TDC needs to look at whether Croydon, ( re the Kenley Airfield Site), has been properly consulted about the developments proposed around the Tandridge fringe of this historic site. 5.Detailed critique of the ELP. One of the SG Members has been through the ELP and I give below a detailed critique that he has produced with reference to specific paragraphs in the ELP. Para. 2.4. 2nd bullet point: Here and elsewhere in the ELP reference is made to “High Quality” with little or nothing signifying how this subjective term will be measured or how decision makers will assess high quality. TDC has previously chosen on cost grounds not to employ a panel of advisors to assist decision makers. This has led largely to such phrases as “good enough” or not “sufficient to refuse” and as a consequence in the past there exists a body of mediocre quality development in Tandridge. Para 2.4. 3rd bullet point: Apart from allocating housing numbers to the new garden village, the ELP does little to show how housing will be distributed across the district other than broadly to tier 1 and 2 settlements. It does not provide any guidance on an evidence base which suggests areas where capacity has been reached or policy reflecting this situation. Para.2.6: Policies should provide better definition of their requirement than merely guide decision makers. Policies should as far as possible be objective rather than subjective. Para.2.8: It is our understanding that this is now being reconsidered particularly on policies within Local Plan Part 2 as the ELP has been found to not adequately replace all these policies. Para.5.10: See earlier comment on the wisdom of not being prepared under NPPF 2018. Para.5.24: Objectives. See earlier comments on use of “High Quality”. It is difficult to see how TDC will monitor these Objectives given that they are largely subjective rather than objective or numerical. Para. 6.5: It is critical that agreement is reached with other Authorities for instance on housing numbers but this does not seem to have been completed at this time. Again this indicates the prematurity of the presentation of the ELP for consultation at this time as policies may need to be revised as a result of these consultations on Strategic matters. Para. 10.3 SO1: Should read “the expansion of appropriate current sites will be encouraged. Not all sites will be appropriate for expansion. This can be later related to the hierarchy proposed for these sites. Para. 10.3 SO9: Should read “…design that respects and positively add to existing character…” New development should make a positive contribution. NPPF2018 para.117 looks for development to improve and to be effective. Para. 10.3 SO11: Density is not defined in the glossary nor is it qualified by net or gross. What does optimised mean in this context? Para. 10.3 SO13/14: It would be appropriate to include an aspiration to increase these important contributors to amenity and well-being. Para. 10.3 SO15 : Does this also require beyond just SUDs, to improvements to infrastructure and renewal of drainage systems to meet the increased demands of development and climate change. Para. 11.2: The preferred strategy adopted in 2017 refers to higher delivery numbers and particularly from the Garden Village provision. There is no explanation of why the preferred strategy is not now being supported in TLP01 or why the lower delivery number. Para.11.5: In putting forward constraints as to why the OAN assessed need as calculated under recent government guidance is not being met this paragraph has to be completely sustainable and evidence based. With regard to green belt it should refer to the Green Belt assessment process that has taken place and confirm those findings including areas released and those now considered to meet the 5 objectives required to confirm Green Belt Status. The ELP plan should make it clear that under its assessment no further releases from the green belt will be made and that this is evidence based from its recent Green Belt Assessment. Para. 11.6: Whilst this paragraph provides details on the TDC OAN prepared in 2015 at 9400 new homes between 2013-33, it totally ignores later government advice on calculation using affordability criteria which increased this to 11400. The plan does need to justify why this later figure and calculation is not considered appropriate for the TDC area. This equally applies to 9400 since the ELP is only proposing a delivery target of 6056 new units which is well below both OAN calculations. An argument that is apparently based on inadequate supply on sustainable and deliverable sites largely due to the constraint of a sustainable green belt requirement. Para.11.26 TLP01: This refers to appropriate densities but does not define this other than in accordance with TLP19 which in turn refers to appropriate densities as being those which make the most efficient use of land taking into account other policies within the Development Plan. This is all largely circular and provides little objective guidance on how appropriate or most efficient are to be assessed by decision makers. NNPPF Para.117 uses effective which is a more wording in that it implies all factors numerical or subjective should be used by decision makers in determining this policy. The wording should be changed. It is not clear how previously developed land will be prioritised or over what? It is clear from this Policy that distribution of housing is only indicated by wide bands namely Tier 1 and 2 settlements and the garden village but it is not specific to particular settlements nor does it indicate areas where capacity is reaching exhaustion referred to in para.21.3 are located or how the policy will apply to these areas. On employment and prosperity there is no mention in this policy of using Article4 Directives to combat permitted development in locations such as Caterham where there has been significant loss of business and employment sites to residential or supporting these uses in town centre locations rather than prioritising residential. The plan should set out which existing business sites are appropriate for expansion and intensification and that Article4 Directives should be used to stop residential development through permitted development on these sites. Section 15 Infrastructure: More informal consultation should be undertaken with Parish Councils inviting their input in identifying infrastructure needs for their parish beyond those now published in the ELP. This should also be an area covered by Neighbourhood Plans. Section 16 Development Viability TLP05 Development Viability: There is no discussion on risk in viability and the differences which will occur between locations, type and size of development, funding and demand during different cycles of the economy. A key factor in viability assessment is the level of profit against cost or sales and in the real world, this is variable with risk. Accordingly, when accepting Viability assessments, the level of profit that is acceptable should take into account the level of risk involved given that demand is higher in the SE of England than elsewhere in the Country. The ELP should consider setting a baseline level so that developers are aware that unless an acceptable risk assessment is prepared profit levels above the baseline would not be acceptable. This should constrain land prices to reflect infrastructure requirements and costs and not pass a benefit in the form of higher land prices to land owners. The ELP should allow Neighbourhood Plans to provide a baseline profit for viability assessments in their area using an evidence base which reflects local demand, need and risk. The whole emphasis of NPPF 2018 is that viability assessments should be the exception rather than the rule. Developers and land owners should before site acquisition, be aware of not only the social requirements of planning policy on a site but also the essential parameters by which viability will be assessed in that location. Land value should reflect this and not excessive land acquisition costs. Viability assessment should only be necessary if there are underlying and unusual site costs such as contamination affecting the site out of keeping with normal development costs in the site location. Urban Settlements Para.17.8: This suggests that all tier 1 settlements can accept more development regardless of previous delivery and available supply. This is clearly not the case as the ELP acknowledges earlier when it states that there are areas where capacity is reaching exhaustion. It is therefore inappropriate to suggest all tier 1 settlements or parts of tier 1 settlements should be areas where development should be focused. The statement and later the Policy TLP06 take no account of current delivery programmes set out in Neighbourhood Plans or the lack of supply as a result of previous development over the 10/15 years. Para 17.9: The reverse of this should be the case namely the ELP should take account of Policies in Neighbourhood Plans when deciding where development delivery is available during the ELP period 2013-33. The emerging CCW NP indicates that it has a more than proportionate delivery of new units during the period 2015-2025 and has made a more than proportionate contribution in previous years. The result is that business/employment capacity has deteriorated substantially and now there is a lack of available brownfield sites to meet demand beyond 2025 and that this must be provided by other settlements and the garden village. The total delivery under TLP01 for existing supply and tier 1 settlements is 2334+768=3102. The CCW NP has identified a supply of 1348 net new units in the period 2015/25 together with 237 net new units already delivered in the period 2013/15. This is a total of 1585 net new units which is over 51% of the delivery required for TLP01 over the whole period 2013-2033. It is not sustainable to focus further delivery on the CCW area. The additional evidence base for this consists of over 90 site assessments producing only a handful of possible new units and a schedule of Brownfield sites with planning approval that will deliver the more than proportionate delivery 2013/25 of 1585 net new units. TLP06 urban settlements:For the reasons given above Caterham on the Hill, Caterham Valley and Whyteleafe should be omitted from settlements that will be the focus of development for a further 768 new homes. VI: Would be better worded development must be in character with its location. B1: This appears to indicate that the only constraint is financial viability related to the land use. Community facilities have social value and it seems likely that all land in community use will have a lower land value than for residential development. The Policy does not allow retention on grounds of social need or suitable alternative use within same ownership. Financial value alone as the basis of land value is not the correct method for assessing a change of use: Social value should be considered with equal regard. B111: This is not needed as it is already covered by policy requiring efficient land use or effective land use. 1st Bullet: No guidance is provided as to what is appropriate either in regard to intensification or density and this should not be based only on provision of appropriate infrastructure but other constraints regarding local character and available green space. In particular it should be governed by policies in Neighbourhood Plans. Planning permission should not be bought but should be given because the proposals are properly designed to contribute positively to their location in accordance with all planning policies not just provision of and paying for infrastructure. 2nd and 3rd Bullet: It is good that TDC are now offering a policy to use Article 4 Directives to reduce the use of permitted development. However, it would have been better rather than use the words where necessary to have named locations such as Caterham Valley and Caterham Hill where both the ELP evidence papers and those of the emerging CCW NP have already identified a need as a result of previous lost employment/business sites and its effect on the economy of those locations. The evidence is available the Policy should provide definite action. 6th Bullet :It should be recognised that green space is important both outside and within development sites. Green space within a new development is an important factor in the well-being of residents on the development and is important to counter the effects of higher densities. TLP10: This Policy is based on the yet to be completed TDC Housing Strategy 2018 which will not be available before the end of 2018. Therefore, the policy is not in a form which can be assessed properly. However, based on the earlier evidence bases for this policy and, in particular Addressing the Needs of All Household Type Updated Technical Paper for Tandridge District Council Turley June 2018, in common with other housing policies and numbers the ELP is not breaking analysis down below District level. It is difficult to see how NPs will be able to support the ELP in this respect without knowing how the Policy will address local need for a Neighbourhood area. Neighbourhood areas will wish to see housing strategy directed particularly to local need and not broad District needs. In this respect NP policies on housing will be seeking to address local need and may from their existing evidence base have already defined priorities which are different to the broader requirement of the District area. The last paragraph of the policy should be written such that the ELP takes notice of NP’s policies and supports these local policies where the evidence base is sustainable and differs from that over the whole of Tandridge. In the absence of local evidence then the Strategic housing strategy should be supported. The policy should also require developers/land owners applying for planning approval to demonstrate that they are meeting the need identified within the Housing Strategy and if not the reason why, so that this can be considered by Decision makers in assessing proposals. A similar policy requirement in the CCW NP for an LNS was criticised by TDC on the grounds of lack of definition of how a local needs survey should be conducted. This Policy in its present form can be criticised for the same reason. A definition is required within the glossary. TLP12: Whilst the evidence base would appear to support a reduction to 20% of affordable housing requirement in Tier 1 settlements. However, the additional change/increase of only now applying to those sites of 15 dwellings and over is less evidential. It is likely, in the future, particularly now in areas such as the CCWNP area where development in the recent past has now taken place on the largest available brownfield sites, to result in very few future sites qualifying for affordable housing and this will be in an area that has one of the highest needs. The policy should be amended to remain for tier 1 sites, with 10 dwellings and over to be required to provide 20%. However, this form of inflexibility tends to lead to a lot of proposals being restricted to below the threshold to avoid affordable housing and perhaps a more flexible threshold of say 10-15 dwellings could be used and proposals could then be judged on their merits and on the efficient use of land requirement. Comments on viability are made earlier. The last paragraph suggests that for sites of 10 or less, all the units can be market housing whereas on a site of say 11 or 15 houses only 1 house can be market housing and 16-20 only 2 houses can be market housing. This does not seem equitable or sensible. It is likely to lead to fragmented ownership of sites to avoid the obligation to provide affordable housing. This is not a well thought out policy wording which Developers will exploit to ensure a maximum of market housing for their sites. Urban and Semi-Rural Service Settlements (Tier1 and2): This would be where most developers will have already land banked land or hold land on option and is the most valuable location given its close association with the facilities of the settlement. Given that it is likely that the main purpose of this land around these settlements is as green belt, to prevent urban sprawl or the define boundaries between settlements, the land should only be released for public or affordable housing, i.e. to meet an identified public need for the locality. It should not be released for private housing unless a particular local need is identified, i.e. first-time housing units or small 2/3 bedroom family properties. 20 Place Making: Neither the text or the policy provide any indication of how “High Quality” is to be measured under the relevant monitoring arrangements. Whilst not necessary for smaller developments, a reference panel should be available to assist decision makers on larger proposals. The views expressed in Design and Access Statements are made by an interested and paid party and should be challenged and not accepted verbatim. It is unfortunate that the ELP throughout does not seek new development to make a positive contribution to its locality or beyond. New development should be seeking to improve and enhance not just repeat what already exists. Decision makers should be seeking more than good enough to approve, High quality should mean a positive and tangible contribution that is evident to see and respects its surroundings. Once again NPPF 2018 refers to both improving and safeguarding which should be reflected in ELP policy. There is no reference here to SPDs or Design Guidance from Neighbourhood Plans which are likely to provide more specific advice on these subjects. The SG notes that there are a lot of words in the text of this Policy many similar to those previously in earlier LPs and Core Strategy. it is difficult to see where in TDC development has lived up to them. Para.21.3: It would have been useful to identify areas where capacity is reaching exhaustion. It could also refer to work done on Neighbourhood Plans in this respect. Paras. 21.8-21.13: These paragraphs which discuss the use of density and the inappropriateness of its use as a single factor in assessing best use are not supported later in Policy wording which refers to most efficient use. It is not just a terminology difference between the text and the policy, it leaves it open for decision makers and developers to provide their own interpretation of most efficient or later appropriate densities. Further confusion comes from a lack of reference to densities as gross, net or optimised. Again NPPF 2018 uses effective implying more than just numbers. Do the optimised densities refer to those within topic paper Urban Capacity Study 2017 or are these to be calculated for specific areas or locations. Will policies within Neighbourhood Plans provide guidance? Para.117: Planning policies and decisions should promote an effective use of land in meeting the need for homes and other uses, while safeguarding and improving the environment and ensuring safe and healthy living conditions. This is a much better and more responsible obligation than used by TDC in TLP19; it should be used to reword the policy. This is another reason why the current ELP is unsound as it will not meet current overarching Policy now set out in NPPF 2018 and recent Planning Guidance. It is difficult to see how in this Policy most efficient use of land will be measured. The text above suggests that most is inappropriate as a measure without consideration of other matters as set out in the text and in paras. I-V11. The word most should be dropped from the policy. Efficient use implies that the measure is not just numerical but is related to other constraints and is more closely aligned to effective. The use of most will mean developers, looking to profitability, will concentrate on numbers to justify and demonstrate meeting the policy requirement. Preferably the word efficient should be replaced with effective. Para III: It would be preferable for most residents to seek that all new development positively contributes to character. The Policy should be aimed at improving the environment not just maintaining status quo, indeed in some areas it would be inappropriate to use the existing character as a standard for future development. Again NPPF 2018 refers in para 117 to improving i.e a positive requirement. Para V: See earlier comments on what decision makers will need to assess appropriate density. Better guidance should be given and this again suggests that numbers are the main arbiter of appropriate and most efficient. It should be clear that this is not the case. Paras IV, VI and V111: The wording does not seek to support an aspiration to improve conditions but merely ensure they are no worse. Again, the inference of NPPF 2018 is seeking to make an improvement and this positive requirement should be followed. All housing allocations in the CCW area should take into account policies within the emerging CCW NP and Site Assessments prepared for these sites under the housing delivery survey. This would include Site Assessments for sites within HSG 20. The late entry of HSG20 has meant that this has not been properly assessed yet by the Steering Group of CCW NP and it is not clear that the CCW NP will support this allocation. HSG05: This site already has a large existing block of flats and it is uncertain how existing property owners’ amenities and rights cover any spare land on the site. It is also not clear how access will be achieved past the existing building to the rear of the site. HS06: As this site has only just been released from Green Belt, the CCW NP is reconsidering the Site Assessment and it is not been decided if development of the site will be supported. Any development would be subject to Policies within the CCW NP. The site contains several mature trees and protection of these under TPOs should be considered now that it is to be released from GB. HS07: The site is in a current social use any redevelopment should take account of CCW NP policies and the Site Assessment prepared for the site. HS08: This site has access problems. Development should take account of CCW NP policies and the Site Assessment for the site. HS09: The site is in current use as garages and this is likely to delay development beyond the foreseeable future. The need for garaging in this area and its possible replacement are important factors when considering a change of use. HS19: Development should take account of CCW NP policies and the Site Assessment for the site. HSG 20: Development should take account of CCW NP policies and the Site Assessment for the site. However, given that the site has only recently been put forward in ELP it is not clear until it has been properly assessed whether the CCW NP will support this site allocation. From its current evidence base the site would not be supported without proper and convenient retention/replacement of the Douglas Brunton Centre and the existing recently upgraded refuse site. TLP 20: This policy should encourage the use of Article 4 Directives to protect existing employment areas and premises particularly as without these being used the main thrust of the policy is meaningless against permitted development. This applies not only to premises and sites within settlement areas but also those in the green belt where their existing brownfield status benefits from permitted residential development. It is likely that residential land value will greatly exceed any business use of land on the site. TLP 21: This Policy does not indicate how the employment hierarchy will lead to better protection or if Article 4 Directives will be used on say Strategic Sites and important sites. TLP 28: It is unclear in this Policy para. 1 if the quoted around 190 residential units will be made available from the sites quoted in para. 11 or are additional to these sites. It is unlikely that 190 units will be available outside of these sites from within the remaining town centre area. The text needs clarification. V1: This should support an application for an Article 4 Directive for all the remaining business premises in Caterham. The Policy should refer to business policies and aspirations within CCW NP. TLP43: Noticeably absent from this policy and indeed the text is reference to the many historic buildings or even some modern architecture which unfortunately do not qualify for listing particularly now that Historic England has taken a more restrictive view on listing. Many of these older houses often from Victorian and Edwardian times have set the character of areas through their open spaces, their individuality and their distinctiveness. It should be part of our listing of heritage assets to reflect their importance even if without listing we cannot prevent their demolition. By positively supporting their retention within new development rather than their demolition this could provide a basis for profitable development without their loss. By suggesting that development proposals that retain these buildings will be encouraged and supported, historical character and amenity could be better preserved. By excluding the residential units they would contain after redevelopment from calculations on affordable housing, TDC could provide an incentive for their retention. TLP46: Tandridge should have drawn up and approved guidance for policy requirements during construction to avoid pollution and inconvenience to adjoining site owners and for the protection of roads and foot paths. These exist for neighbouring London Boroughs and other areas. TLP49: Simply applying conditions but not monitoring behaviour will not encourage following or enforcing the conditions. The Council must in its Policy seek to monitor and enforce throughout the construction period. TL50: Developments that would generate significant traffic movements should be required to show how these will be mitigated and provide detailed traffic flow studies to ensure that they can be accommodated within the existing network or what measure are proposed to reduce likely traffic flow so that it can be accommodated. Without these proposals should be refused. 35.9: None of the monitoring would appear to relate to subjective objectives within the ELP i.e. “High Quality”, “enhance the character and quality”, Successfully integrate with” or “provide a sense of place”. Monitoring should involve decision makers visiting completed developments to see if they have fulfilled the aspirations originally stated and lessons should be learned where development has failed. Checks should be made to ensure that tree planting and landscaping is continuing to thrive and meet the aims of screening and open space originally suggested. Help is needed to assess design and specially if it to meet the aspiration of being “High Quality”. How many of approved developments do planning officers or decision makers on the planning committee go back and inspect. Time should be provided for Officers to reflect back on their decisions by inspection of completed developments. Density Net, gross or optimised. The definition of Viability is flawed and not workable in that it relates to a competitive return being defined by generating a land value sufficient to persuade the land owner to sell the land for the development proposed. How does a decision maker assess competitive return or what is sufficient to persuade the land owner. 4.33: Developer’s profit is closely correlated with the perceived risk of residential development. The greater the risk, the greater the required profit level, which helps to mitigate against the risk, but also to ensure that the potential rewards are sufficiently attractive for a bank and other equity providers to fund a scheme. Land value should be the function of a residual appraisal of the proposed development which reflects an appropriate profit level for the risks involved. Alternatively, if it provides an acceptable profit on the existing use benchmark value of the land. In both cases TDC must decide either what is an appropriate level of profit to the Developer or an acceptable profit to a land owner based on a benchmark existing use value. Within the BNP Paribas study for test purposes, 20% of Development value is used for private housing and 6% for affordable housing. Both reflect the different risks attached to speculative compared with pre-sold. The risk profile will also vary with location. Para. 4.35: We have therefore adopted a profit margin of 20% of private GDV for testing purposes, although individual schemes may require lower profits, depending on site specific circumstances. Also Tandridge has a low sales risk. Low sales risk is likely to be the case for developments in tier 1 and 2 settlements due to high demand. Neighbourhood Plans should be allowed to set their own base line margins to reflect the lower risk and to provide guidance to both land owners and developers as to what is acceptable without a risk analysis justifying the need for a margin above the baseline. Para.4.43: The majority of the housing units identified by the Council will be on greenfield sites with very low existing use values (typical agricultural land values are in the region of £21,000 per hectare).However, residential development generates significantly higher land values and this feeds into landowner expectations, but these expectations need to be managed to ensure that there is sufficient capacity to fund essential supporting infrastructure. Para. 6.2: Development value is finite and there is a clear and direct trade-off between the share of uplift paid to the landowner and the scope for contributions towards essential infrastructure that will support growth. We recognise that land can often trade at high value but expectations will need to be managed downwards to preserve more of the uplift arising from planning permission on greenfield sites to fund infrastructure. At the same time, the return to landowners cannot be pushed down to such a low level that they choose not to bring their sites forward for development. All these statements from BNP Paribas indicate that purchase price land values should not be used in viability assessment as this will encourage higher prices and avoidance of affordable housing obligations. The Policy should set baseline guidance on acceptable margins and allow Neighbourhood Plans to modify these based on their own evidence base on level of risk and demand. This Policy is not workable as written and should be re-written to follow the evidence base from BNP Paribas and provide baseline values for viability assessment. It should also allow these to be varied by Neighbourhood Plans according to their own evidence base.